Last year, I came up with a tutorial for packaging halloween candy. I wanted to make it an annual thing, so I tried to figure out how these mini milk cartons were made. No printables. No exact measurements. Mostly freehand scoring, snipping and gluing. DIY milk cartons! No tape? No wrapping paper? No problem! 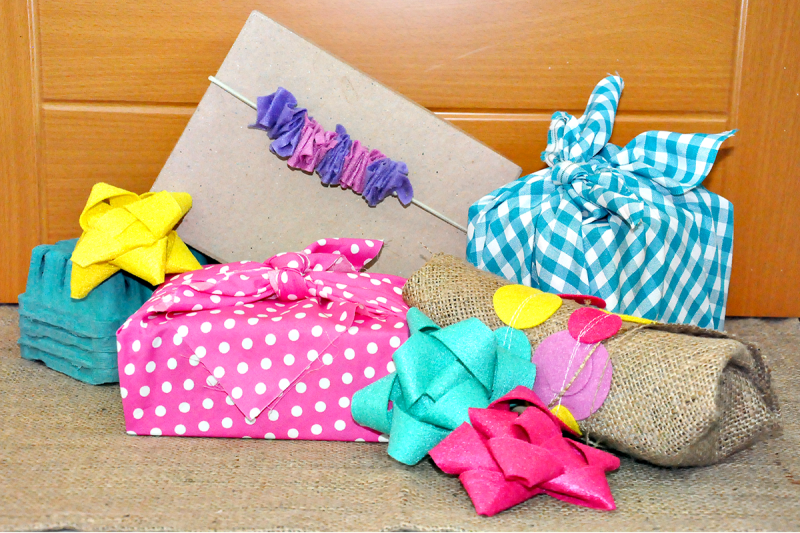 Furoshiki is an age old Japanese way of wrapping gifts with cloth with a few simple knots. Combining hand-sewn felt gift bows or garlands with wrapped burlap is a simple twist on the classic method. Watch out for tutorials on how to make the bows and garlands! It’s A Wrap: No Tape! 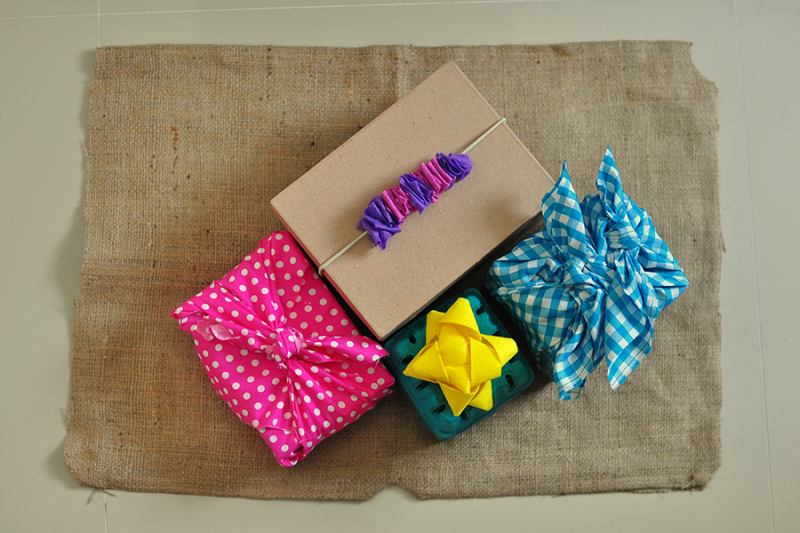 Who said gift-wrapping required tape? All you need for this particular method is twine and a few popicle sticks. It’s a Wrap Baby Shower! So, I Try DIY’s It’s a Wrap series has crossed onto new territory. Yesterday, I Try DIY co-organized a gift-wrapping baby shower, for the arrival of Baby Brianna Elise! I’ve worked with Et Al Productions* on a party before, so I already knew we were in for something great! With Halloween creeping up, here’s a creative way of packing up some candy for your trick-or-treaters!